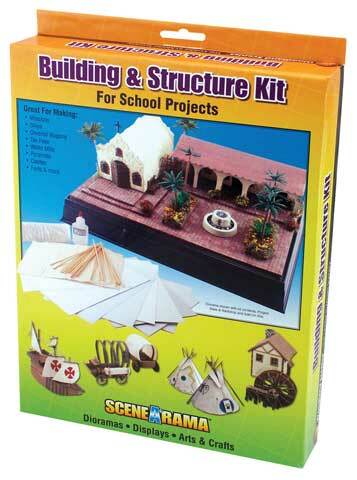 This kit features an assortment of materials ideal for constructing buildings and structures for a diorama or display. Create and add special textures using simple techniques explained in easy-to-follow instructions. Make geometric shapes, pyramids, tepees, covered wagons, missions and more with the project boards, project cloth, project sticks, clear plastic, construction board, white plastic, black paper, ribbed board, project wire, project glue included in this fun kit.